Ashwagandha root, specifically KSM-66, is one of the best all natural, testosterone and strength boosting herbs available today. While relatively new to the West, ashwagandha has been used in Ayurvedic medicine since ancient times and was actually said to give man the power and vigor of a horse! KSM-66 is widely considered the best form of ashwagandha to supplement with as it is standardized to 5% withanolides, the active compound believed to be most responsible for the power of ashwagandha. KSM-66 also uses only the root and not the leaves. 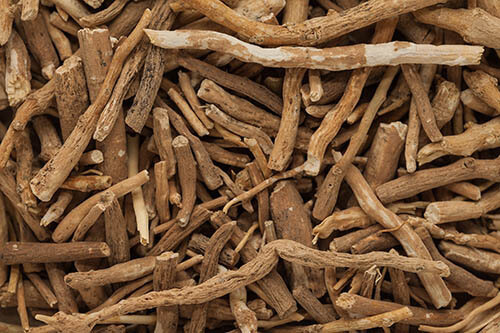 Many ashwagandha extracts are produced with the leaves in addition to the root to cut costs but the leaves do not provide the same level of health promoting benefits. 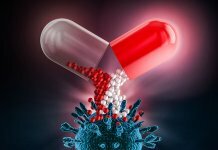 I’ll break down each of the above aspects in detail so you can see for yourself if supplementing with ashwagandha KSM-66 is right for you. 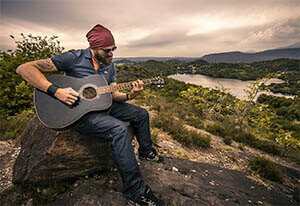 Stress causes a wide range of health issues for a man, and can especially wreak havoc on your testosterone. 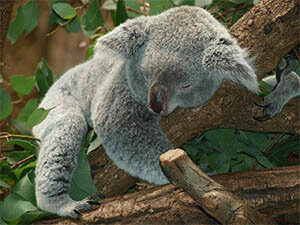 Stress causes cortisol levels to spike and that directly affects your body’s ability to produce testosterone. The less stress you have in your life, or the more effective you make your body and brain at dealing with stress, the higher your T levels can go. An improvement in sleep quality has also been reported by many men who supplement with the herb and high quality sleep plays a huge role in testosterone production, endurance and workout recovery. 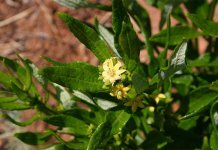 There have been 3 human based case studies which measured testosterone levels after ashwagandha supplementation and the results in all 3 studies showed an increase in testosterone. In an 8 week study published in the Journal of the International Society of Sports nutrition, 57 men between the ages of 18 – 50 were given 600 mg of KSM-66 Ashwagandha daily for 8 weeks. 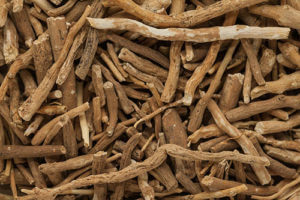 This is not surprising given the amount of areas Ashwagandha improves, which is directly related to boosted testosterone levels such as improved sleep, lower stress, decreased cortisol and an improved cholesterol profile. In another study on 46 healthy males between the ages of 22 – 46, 650 mg of KSM-66 Ashwagandha was given to the participants for 90 days. In that same 8 week study, the men saw their max 1 rep bench press increase by an incredibly 43.2 pounds on average! It needs to be mentioned that these were not highly trained athletes in the study and if you are, don’t expect to see that large of an increase yourself but those results are still incredible either way. V02 Max, is the maximum amount of oxygen you can utilize during intense exercise. It has a massive impact on both endurance and power output. 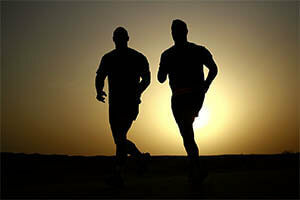 In an 8 week study on 40 healthy humans, designed to test “physical performance and cardiorespiratory endurance” ashwagandha supplementation of 500 mg per day “increased velocity, power and VO2 max”. Cholesterol is converted into testosterone in your testicles so as you can imagine, a rockstar cholesterol profile plays a huge role in having increased testosterone levels. As already mentioned in some of the human case studies referenced above, an increase in fat loss appears to yet another great benefit of ashwagandha extract. 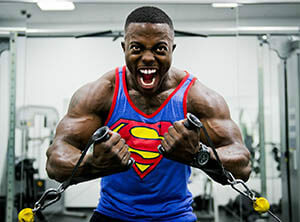 This is another important aspect of increasing your testosterone levels too because fat actually locks up your testosterone so it can’t be properly utilized within your body. 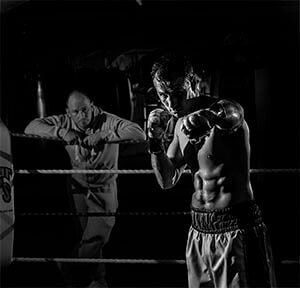 By lowering your fat levels and improving your Body Mass Index (BMI) you can increase the amount of free testosterone in your body to do what it does best, increase size and strength! 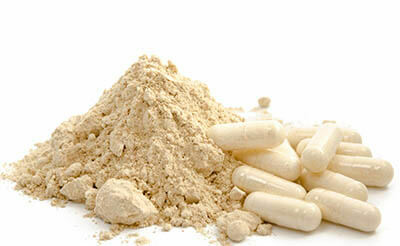 If you aren’t convinced by now you need to be supplementing with ashwagandha extract, you probably never will be. 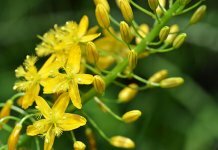 It’s range of overall health benefits are incredible and it’s ability to increase strength, endurance and testosterone is well documented in human studies. 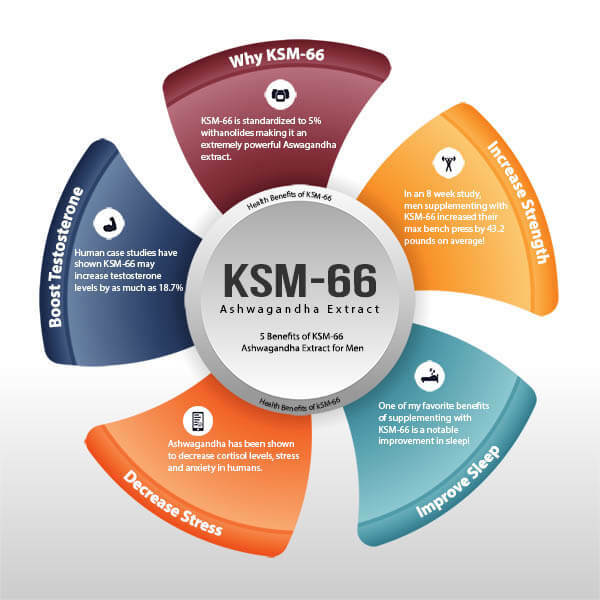 KSM-66 is a potent extract of ashwagandha which is standardized to 5% withanolides and I highly suggest you take around 400 – 650 mg of KSM-66 extract daily. 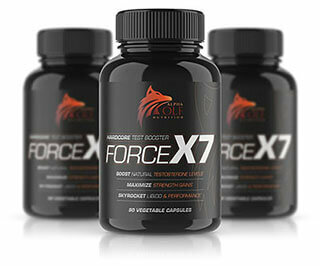 Force X7 by Alpha Wolf Nutrition is the only multi-ingredient, natural T booster we recommend and features 500 mg of KSM-66 in its formulation.